Air conditioning was previously thought to be a luxury for the select few. However, the entry of Voltas into the market overturned the tables making it accessible to almost everyone. You can get a Voltas AC installed in your home at a very affordable price. Research on their sales has revealed that their biggest market is among the middle-class families who make up a higher percentage of the general population. 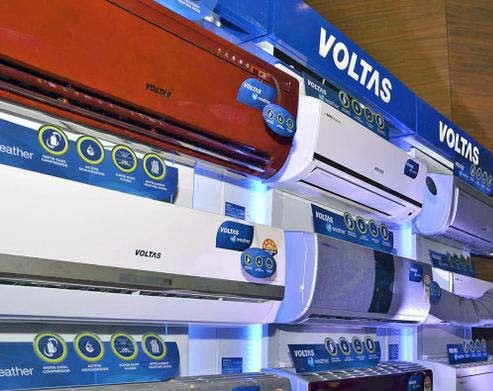 By using this strategy, Voltas has managed to make more sales day in day out. When their pricing is compared with the other available air conditioning products, Voltas AC comes in as the most affordable. The major players in the industry focus on the functionality part while turning their back on the economic status of the market. It is for this reason that you will pay more to get an AC system installed in your home if you go for the other companies. Selling at a lower price has allowed them to stay competitive over the years as stronger companies like Samsung made their way to the Indian market. You may be well aware that every room type has unique air conditioning requirements. Voltas AC products come in a variety of models to meet the varied air conditioning needs that exist. Customers therefore not only have the freedom to choose between the Voltas window AC, Voltas Split AC and Voltas Inverter AC but also a variety of models under them. For instance, the tonnages vary and you may need to purchase the right tonnage for your home. It usually ranges between 1 and 2 ton giving you a wide variety of choices. Larger rooms will necessitate the acquisition of models that meet the high demand for cooling while smaller rooms will do with the smaller models. The ability of Voltas to satisfy every rooms requirement has made it the choice company for almost every single home. Customers also have a variety of colors to pick from to suit the interior design of your home. There is always everything for everyone and no matter how unique your tastes are; you will find a product suitable for you. In case you thought that the affordability compromises quality, then you may be wrong. The Voltas AC products have a superior performance while costing less than most of their peers. People literally run for these products, and they are always in high demand. There is need to appreciate every type of air conditioning by Voltas to understand how functional they are. Split AC systems have gained a lot of attention because of their sleek design that gives the room a touch of modernity. By allowing the connection between the outdoor unit with one or more indoor units, the Voltas split AC products are the trend in the field of air conditioners. The simple design of this product makes it easy to install and run. Its design aims to minimize the impact on the electricity bill. The energy saving is made possible by the auto-sleep feature. It can be controlled by a remote besides the autostart feature that will detect the rising heat and cool the room to the desired level. The high torque compressor allows for turbo-quick cooling and so you won’t have to spend a lot of time waiting for the air conditioner to pick up. In addition to the incredible functionality, it looks pretty good and will give your room a classy touch. Another product that has taken the air conditioning market by storm is the Voltas Window AC. Previously thought to be the older version with less functionality, Voltas sought to bring the confidence back to the Window AC arena. Their air conditioner comes with the same amazing features you will find on any other modern air conditioner like auto-restart and sleep mode that improves efficiency and saves power. However, there are a lot more unique features like fresh air ventilation and self-diagnosis. The display utilizes LED technology, and the control is by an LCD remote. It enjoys the luxury of turbo mode and a timer that puts it in a league of its own. Besides a panel that easily removable, this Volta window AC has a 3-star energy rating, and so you won’t feel the pinch of huge electricity bills. The warranty that is up to five years will enable you to enjoy air conditioning without stressing yourself. In a bid to embrace technology, Voltas developed the intelligent Voltas Inverter AC. By utilizing the inverter technology, this air conditioner continuously senses the room environment and adjusts the temperature and humidity keeping the room in one season all year round. Their entry into the market is changing the AC landscape as more and more people are opting for them. It does come with cutting edge technology features like auto restart, auto sleep, dehumidifier and a timer. It is controlled by remote and has a stunning LED display. And another fantastic feature is the ability to function best with extremely low noise levels of 42dB. The antibacterial filter keeps you safe from the common microorganisms that are associated with air conditioning. It also has an up-down air swing feature to ensure every part of the room is kept cool. A home is not complete without air conditioning, and Voltas AC products have proved to be the best at the doing that. With a range of models under Voltas Inverter AC, Voltas split AC and Voltas Window AC; the company has increasingly become popular over the years despite the competition from major players. The secret behind their secret is affordability, functionality, and variety.